Municipalities across Alberta are creating interactive mobile apps to provide information and services to their community quickly and easily. The growth of mobile apps has been explosive over the last decade. As smart phones and tablets have become a staple in our society, apps have become a go-to source for information and entertainment. The widespread prevalence of their use means that they are an excellent way for municipalities to engage their residents. The Town of Didsbury's Community Smartphone App with a built-in emergency alert system, live content from the municipal website, and access to local notices, events, maps, a business directory, and contact information. 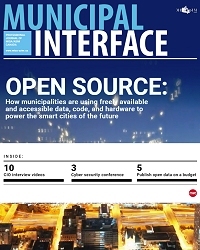 Mobile apps are just one example of ways municipalities can interact with their community using new technology. For more information about citizen engagement, check out AUMA's Citizen Engagement Toolkit including the new Social Media Resource Guide.